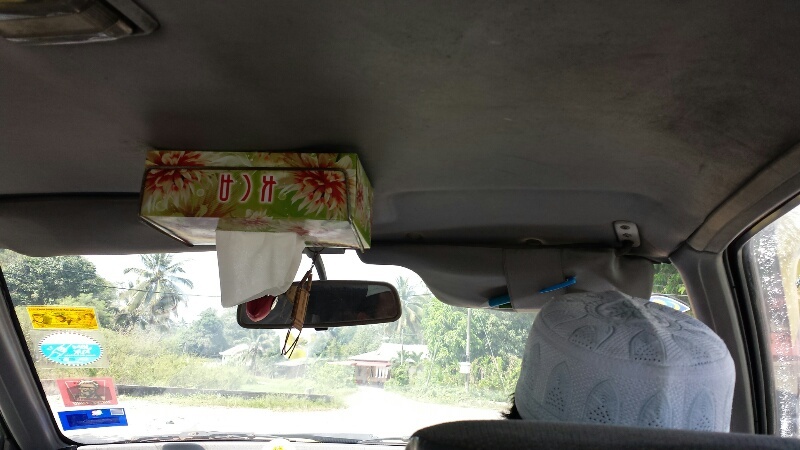 The most logical place for a pull-out tissue box for this taxi driver in Kota Bharu is on the ceiling, in an upside down mode. I must agree. It’s visible yet not obstructing both the driver and passengers’ view. Secure. Most importantly, it’s very convenient to reach out and pull down a piece of tissue rather than up.